It’s summertime! …and Ride the North training has entered the final two months. Slap on the sun-screen and keep cycling! The event plan for 2015 has always been clear – that if you have a doubt over your participation you can substitute your place up until 30 June. Similarly, we have offered 75% refunds up to this date. Event items will be sent to print in July and we want to draw a line under the admin phase. As this newsletter goes out just before the published deadline, this deadline has been extended to Sunday 5 July. Up until this date, I will accept refund requests and the database will be open to edit – after 5 July, the database will be locked and names cannot be changed. It is most unfortunate if illness or injury means you have to withdraw after this date, but I’m afraid our numbers will be confirmed on the 5th and it won’t be possible to make changes/offer refunds after that date – your own insurances may cover a late cancellation. We have many bikes being checked in at Pittodrie on Thursday 27th August – trains look set to be busy! This check-in will be open from 0800-1300hrs. For the benefit of returning cyclists, we are going to take the same approach to bike protection as last year – that is, to invite all those using this service to wrap their bike with some protection (foam/bubble-wrap) – this isn’t compulsory and we we will ensure bikes are packed as carefully as possible. We will send out further information to all those who are registered for this service. Bookings for the bike transfer will close on Sunday 5 July. If you don’t know whether you are booked to use this service, you can login here http://www.ride-the-north.co.uk/login/ (using the email you received the newsletter on). As noted previously a sequence of (less than likely?) events in the Europa League could result in Thursday 27th being a match day at Pittodrie. It’s the best venue for the job, so I have decided to take the risk (and get my excuses in early if I have to make a change to these arrangements). In the event of a change, we will ensure that your connections to trains are not impacted. 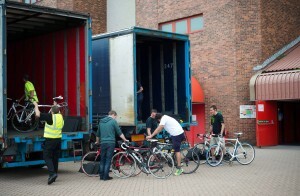 A big ‘thank you’ to hauliers ARR Craib who are helping us with the logistical challenge of moving the bikes. We might have previously mentioned that there are one or two hills on the RTN itinerary this year …OK, one or two flats! For the benefit of anyone who is a little nervous, it might help to spell things out once again. Ride the North is an event which is designed as a two day challenge – that is, you have a full day to complete each of the two rides. If you are concerned, I would expect that you may wish to request a start-time among the earliest, to schedule regular stops and to take the cycling at your own pace. We want to see all riders complete by 1830 hrs on both days and with the first start times around 0730-0745 hrs, there are up to 11 hours to complete the route …our expectation is that you will be required to record a minimum average cycling speed of 10 mph. There are a small number of climbs which are tough and many participants will walk on them – if, in training, you find that you are walking on more than just the very steepest hills, then you might have cause to be concerned as to whether you are equipped to take part. Our objective (in terms of the ‘scare stories’) is that you arrive at RTN having prepared and having done the training which gives you the expectation that you will be able to complete and the ability to enjoy the event. Training on hills is a must! There will be five (colour-coded) start waves to manage the start of both days. You should ensure that you select the most appropriate wave – the Blue Wave (first to start) will comprise riders who expect to average 10-11 mph, the Green Wave 11-12, Yellow Wave 12-14, Orange 14-16 and finally the Red Wave (last to leave), 16 mph +. We want everyone to pass through check-points along the route within certain time windows (marshalling, signposts and medical support are timetabled to be in place when you need them). The most fundamental thing is that those who are going to be the slowest go first and those who are going to be fastest to go last. Choosing the right start wave does mean you surround yourself with people of a similar pace. If you are signed-up for RTN with friends, family or colleagues that you want to cycle with, then you must use the ‘Team Code’ field in your account. You will be automatically grouped together with those who have the same Team Code (make sure you agree the same and the spelling!) AND the same start wave. If you are part of a larger group, the same team code can be used by the whole group – you will just be split across the various start waves. If you have a team with variable speeds you can make a decision as to whether you ride together from the start or perhaps agree to catch each other up on the road. One of the challenges of Ride the North is the logistics of getting everyone to/from overnight accommodation in (and around Elgin). 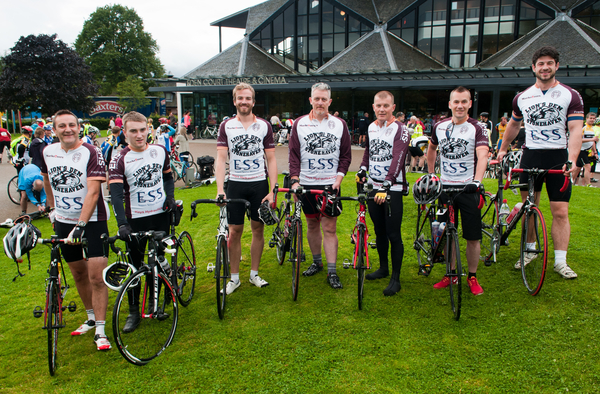 Our overnight hub is Glen Moray Distillery where bikes can be stored very securely and from where we will provide transport. We plan to run constant shuttles around Elgin accommodation, but if you need transfers to/from Lossiemouth, Forres, Kinloss, Findhorn, Fochabers, we will provide a timetabled service, so that you will know what to expect. The distillery area is just too small to take buses into, so we will set up the transport services outside of the distillery which will require just a short walk. If you have your own support driver meeting you, they wont be able to drive into the distillery. 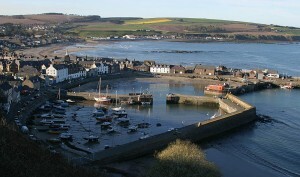 Everyone is always happy to be in Stonehaven (! ), but it will surely be a welcome sight on Saturday 29 August. The finish will be at the Recreation Grounds (putting/tennis/bowling complex by the seafront). Thanks to the Stonehaven Recreation Grounds for hosting us and what I hope will be a community event for the town. We continue to work with the authorities to firm-up arrangements and will communicate plans that you might wish to pass on to anyone who will come along to cheer you across the line. Thanks to the 115 Stonehaven-based participants in RTN this year and the wider community for their support. We will have a photographer travelling along on RTN. Alex Hewitt has joined us the last two years, and I am delighted he is returning again for 2015. We are going to refine exactly how we do the photography. I want to steer away from the images that are offered for sale at some events (the same picture of every participant, which follows the insistence that you make your race number visible so they can try to sell you it) …and will ask Alex to take pictures of the whole event. We will make all the images available to purchase, but overall objective is offer some great pictures at good value. Further details will be sent out to confirm costs. As things ramp-up, there will inevitably be questions, so never worry about getting in touch. The final two weeks involve quite a lot of on-site work and hence I will try to get final information out to you at the end of July. As always, feel free to get in touch if you have any questions – I prefer that you send emails rather than send questions via Social Networks (they can get missed when things are busy)!